Want to hire the most professional garden landscapers in London? Our affordable and reliable gardeners can complete tasks of any size or scale. We can help you 7 days a week because we have years of experience in this field and use the most efficient gardening methods to ensure all your garden maintenance needs are satisfied. 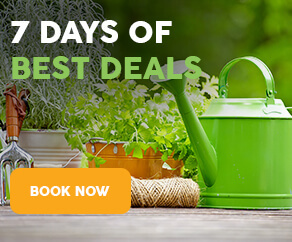 London Mandy Gardening Solutions is one of the premier gardening companies in the local area because we are dedicated to providing the most efficient and reliable gardening services at the most reasonable prices in London. Are you looking for reasonably-priced garden maintenance services for your house or business property in London? Our reliable gardeners at London Mandy Gardening Solutions will go above and beyond to provide you with cost-effective gardening services that guarantee outstanding results. We focus on delivering top-notch garden maintenance services at the best prices to all residents in London. To hire our professional gardening services or learn more about our prices, contact our dependable customer service representatives in London or email us. You can reach us at any time and we will cater for your needs!